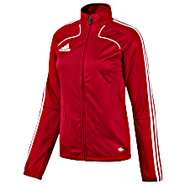 Adidas - When it comes to soccer practice not sweating is not an option. 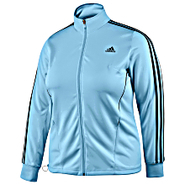 That's why the adidas Trofeo Training Jacket sports allover CLIMACOOL(r) moisture protection keeping you cooler drier and more focused on redefining your A-game. 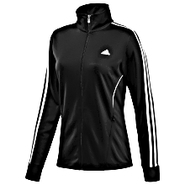 Adidas - Sometimes just getting up the will to work out is the hardest exercise of all. 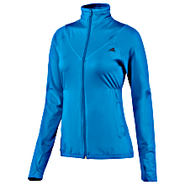 The adidas Poly Jacket provides that extra push with a flattering fit stand-up collar and breathable mesh lining. 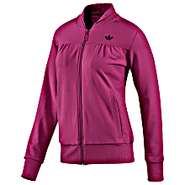 Adidas - The full-zip adidas Jacket was built for training and features kangaroo pockets a stand-up collar and the 3-Stripes down the sleeves. 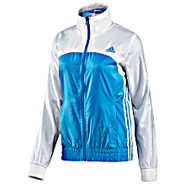 Adidas - The adidas Rebound Jacket brings welcome comfort to active days and post-workout cool-downs. 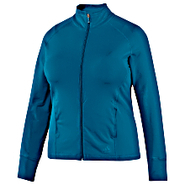 This sporty training jacket whisks perspiration away from your skin with a soft sweat-wicking fabric.
. - Women's Back-Ripped Jacket - Brown - Small Women's Back-Ripped Jacket has a fun floral design and comfortable fit. 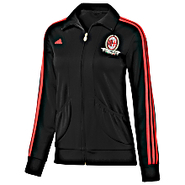 Product Features: Full-zip. Hooded. Long sleeves. Floral detailing. Ripped design. 100 cotton . 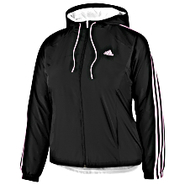 Adidas - Studio Sport Plus Size Jacket Slip on the adidas Studio Sport Jacket and look every bit as wonderful as you feel. 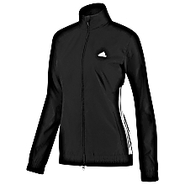 This jacket is styled with pretty princess seams and features cuffs with thumbholes for a feminine look and a flattering fit.